Praised by Entertainment Weekly as the man who put the fizz into physics,” Dr. Len Fisher turns his attention to the science of cooperation in his lively and thought-provoking book. 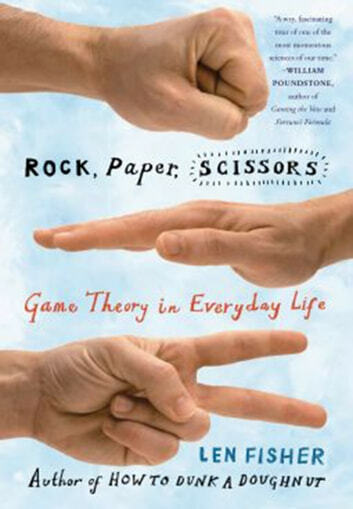 Fisher shows how the modern science of game theory has helped biologists to understand the evolution of cooperation in nature, and investigates how we might apply those lessons to our own society. In a series of experiments that take him from the polite confines of an English dinner party to crowded supermarkets, congested Indian roads, and the wilds of outback Australia, not to mention baseball strategies and the intricacies of quantum mechanics, Fisher sheds light on the problem of global cooperation. The outcomes are sometimes hilarious, sometimes alarming, but always revealing. 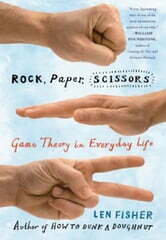 A witty romp through a serious science, Rock, Paper, Scissors will both teach and delight anyone interested in what it what it takes to get people to work together.